Former K24 TV host Kalekye Mumo has denied that she left Radio Africa Group because of her boss Caroline Mutoko. Before joining K24, Mumo was a presenter at Kiss 100 Fm but resigned after 10 years of working. Speaking on her last Talk Central show, Kalekye said that it was not true because Caroline pushed her out. “By the time I was doing the morning Kiss with Shaffie, Caroline was not my boss, she was not even working on the same floor as me and she had nothing to with Kiss 100 in terms of its management, its presenters or anything to do with that,” said Kalekye. Tension Mumo went on to make it clear that she moved on because she needed a new challenge and TV was her next stop. “The stations PC was a mzungu from Australia. So no, it had nothing to the best of my knowledge to do with her because again it was a situation of this is where we are as a station, this is where I am as a brand,” narrated Ms Mumo. Adding: “Most of the women who have worked at Kiss, who have left, they have left because of some tension. This is a person who has been the alpha female in this place for the longest time, so there has been those stories before,” she added. 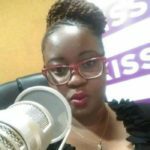 The post Kalekye Mumo denies leaving Kiss 100 Fm because of Caroline Mutoko appeared first on Ghafla! Kenya. Next Post: Socialite Amber Ray shares new photo wearing nothing but her birthday suit!